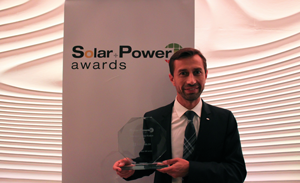 Summary: Sunwire® is Luvata’s branded photovoltaic solar ribbon. The Sunwire Calculator enables photovoltaic module manufacturers to make more informed decisions concerning their solar ribbon needs. Understanding solar ribbon is critically important to solar module efficiency and life cycle. 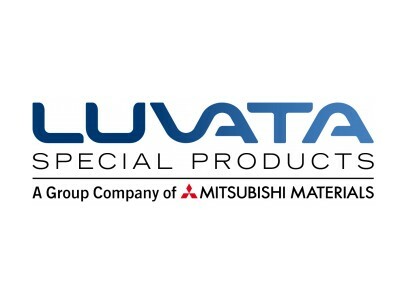 Judges Comment: Luvata’s Sunwire Calculator helps manufacturer’s to optimize their use of silver paste and other expensive consumables to lower costs and improve overall efficiency. Summary: Researchers from AMOLF, the University of Amsterdam (UvA) and ECN have developed a technology to create efficient bright green coloured solar panels. Arrays of silicon nanoparticles integrated in the front module glass of a silicon heterojunction solar cell scatter a narrow band of the solar spectrum and create a green appearance for a wide range of angles. The remainder of the solar spectrum is efficiently coupled into the solar cell. The current generated by the solar panel is only reduced by 10%. The realization of efficient colourful solar panels is an important step for the integration of solar panels into the built environment and landscape. Judges Comment: While the benefits of renewable energy remain undeniable, it is also true that the aesthetic visual appeal of PV panels does affect consumer purchasing; the development of colorized cells with minimal generation loss should have ongoing market appeal. Summary: Heraeus SOL9641B series is based on the brand-new glass chemistry for ULDE (Ultra Lightly Doped Emitter), combined with the latest improvement in organic vehicle system for UFL (ultra-fineline) printing. Customers report that SOL9641B has excellent metallization contact on ULDE mono and multi crystalline solar cells. 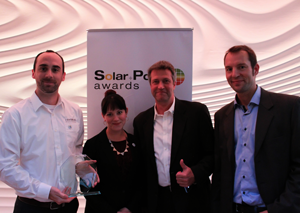 SOL9641B is a revolutionary design as a “Product Platform”, not just a product family. Such unique paste chemistry has a wide firing window toward lower temperature side, which makes this series well-performed on PERC (Passivated Emitter Rear Contact) solar cells. 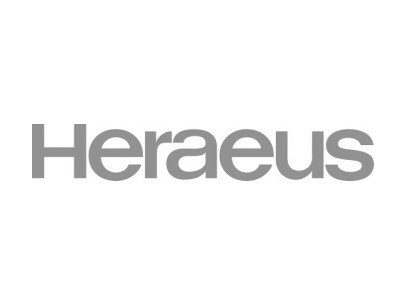 Judges Comment: Heraeus demonstrates its continued global leadership in solar PV materials with its latest paste that is ideal for PERC and other lower temperature firing requirements. Summary: With the A+A+A+ sun simulator backend-solution MBJ Solutions GmbH offers a very compact solution for the inspection of solar modules at the end of the line. Besides an innovative TUV certified A+A+A+ LED solar simulator, the system includes an isolation test and an electroluminescence test on a very small footprint. Judges Comment: MBJ Solutions GmbH has effectively leveraged the versatility of LED technology to create a new type of solar simulator that not only adheres to the highest standards but accomplishes this in a small footprint for superior manufacturing floor efficiency. 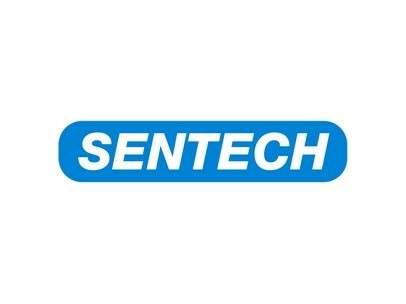 Summary: SENTECH SENperc PV is a system for quality control in photovoltaics. It guarantees the efficiency and quality of PERC solar cell manufacturing. PERC cells consist of multiple layers, their properties and interdependences are generating more energy than conventional cells. For the quality control of PERC cells, it is necessary to precisely control the properties of the back side passivation layers by means of an optical, nondestructive measurement. The SENperc PV is the solution. The advantages of this innovative SENperc PV system are easy recipe based operation and statistical process control for quality control in industrial PERC cell manufacturing and the direct and long-term feedback to the operator for immediate intervention. 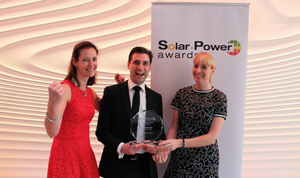 Judges Comment: Quality and cost competitiveness are key solar panel success metrics as supported by the SENTECH SENperc PV optical measurement system that provides direct feedback to the operator for higher throughout and quality assurance. Summary: REC has worked extremely hard to extend the module power output achievable with the multicrystalline silicon cell platform to levels thought impossible with this technology just a few years ago. 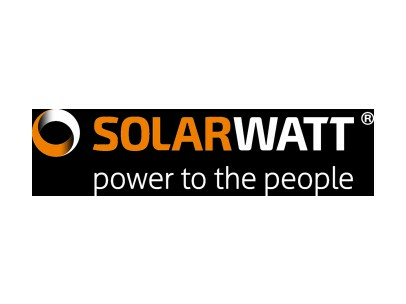 The company has made an immense effort to evolve and introduce a number of innovations to both its 60-cell and 72-cell mc-Si solar modules, which when combined mean that its mc-Si solar modules can strongly compete on power with competitive monocrystalline products. 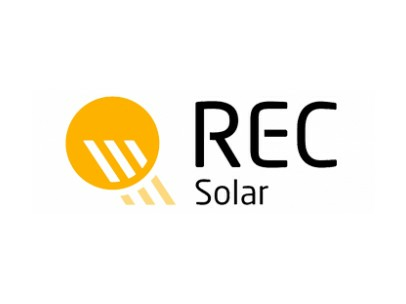 Judges Comment: REC’s TwinPeak 2 exemplifies efforts to increase mc-Si efficiency to the point it rivals that of monocrystalline PV products while reducing the number of modules needed to generate energy, or increase yields by utilizing a similar surface area. Summary: Flisom was founded in 2005 as a spin-off of the Laboratory of Solid State Physics of the Swiss Federal Institute of Technology Zurich (ETH Zurich) – a scientific institution with global renown. For several years, the company remained in stealth mode, working closely together with Swiss Federal Laboratories for Materials Science and Technology to design and improve its core technology. Flisom’s solar modules are potentially a global game-changer in the Buildings, Transportation and Speciality Solutions sectors as they are beautifully-designed, fully flexible, rollable, lightweight. Judges Comment: Filsom’s 20.4 percent conversion efficiency in its latest CIGS thin-film solar cells matches the generating capacity of heavier, more fragile crystalline solar cells, which could dramatically increase the market potential for thin-film technology. Summary: In commercial and utility scale plants, basically two inverter types can be used - either a central inverter or string inverters. Both types have relevant advantages and disadvantages that are weighed upon each other before deciding for one type or the other. 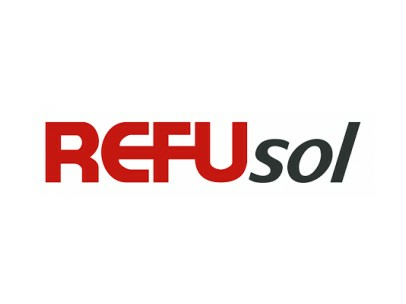 Judges Comment: The REFUcube simplifies and standardizes the development of renewable energy commercial-scale utility plants by combining the benefits of string and central converters into one shipping container. Summary: Huawei Technologies Co., Ltd. is a leading global information and communications technology (ICT) solutions. Huawei’ smart PV solution incorporates its expertise in digital information technology, Internet technology, and PV technology, which has been accumulated for over 20 years. 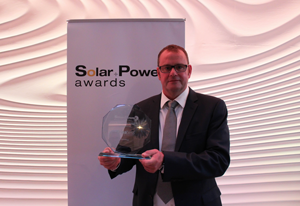 Judges Comment: Huawei’s diverse product lines and best in class technology enable the company, through its FusionSolar Smart PV Solution, to offer commercial, grid scale solar plants with optimized yields, O&M, safety and reliability with the promise of first class results. Summary: The Power-Blox 200 series is a revolutionary modular energy system producing AC power from 200W up to the Kilowatt range, which serves as a “portable socket” to off grid energy demands. 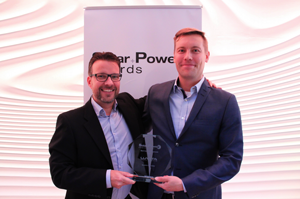 Swiss company Power-Blox has created a solution for developing fully autonomous power grids that can be scaled up easily without the need for extensive configuration or a centralized control, thanks to its "Swarm Power" technology. The Power-Blox energy storage devices are designed to be able to stack together into a bigger unit with a larger capacity, as well as to be joined together into a micro-grid that allows each of the connected units to have access to "the full power of all units." Judges Comment: The Power-Blox 200 represents a step towards the future of rural electrification and energy independence thanks to its nearly ‘fool-proof’ modularity and choice of battery chemistries ideal for residences and villages. Summary: Multicon AG & Co. KG has developed mobile solar power plants to ensure energy supply also in areas where there is no public electricity network. The mobile power stations are equipped with solar modules, inverters, storage batteries and an intelligent energy management. Because the systems work according to the "Plug & Play" principle, they are ready for use within a short time. Installed container or trailer based, our mobile power plants have an output from 5 to 86 kWp. As any number of mobile solar plants can be connected, they can cover electricity demands equating to several megawatts, which is enough energy to power hospitals, refugee camps or water desalination plants. The mobile solar plants are equipped with back up diesel Generators. 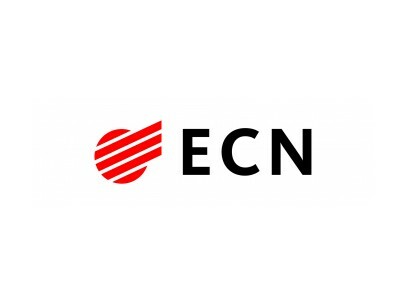 Judges Comment: Restoring power after natural disasters or bringing power into remote areas for the first time is made easier thanks to mobile, all-in-one power stations like those of Multicon AG and Co. KG. 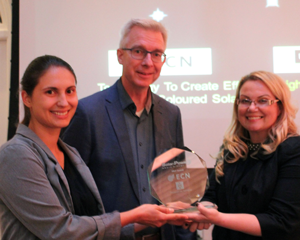 Summary: Alectris has been developing the first worldwide unique solar ERP system since 2011 called ACTIS. 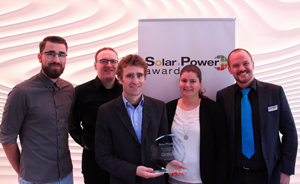 The software is unique in a way that is the only fully integrated platform for operational solar PV assets covering Monitoring, Service Management, Asset Management, Project Management, Cost Management, Billing and Integrated Reporting in one uniform platform. The software has been developed completely in-house from a high-level IT professionals with the assistance of the engineering team of Alectris based on real plants and out of real life experience throughout the years. It combines virtually everything that relates to managing operational PV assets in one uniform database and interface, allowing for standardization and streamlining of processes, aggregating all information and data (even from external software systems, like monitoring and accounting systems) in a uniform way allowing for in-depth insight of the operations and performance of individual plants and portfolios. In a world of rapid consolidation, ACTIS is a unique tool to efficiently manage PV assets, streamline operations, decrease costs and increase performances in the most cost-effective way. 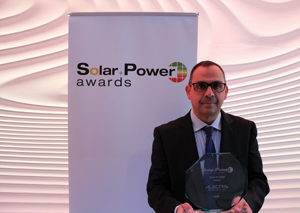 Judges Comment: Streamlining solar plant operations and maintenance (O&M) activities is vital to achieving maximized return on investment, a process made easier with the ACTIS program from Alectris. Summary: MEP was one of the first to launch a solar lease business model for German house owners offering private households the opportunity to participate in the energy transition without costly investments or planning effort. As market leader with currently approx. 6,000 customers, MEP offers house owners a 20-year carefree solar lease package including everything from planning to assembly and insurance. To finance this innovative business model on a long-term basis, MEP developed with its collaborating bank the first structured financing solution for the German solar lease market. 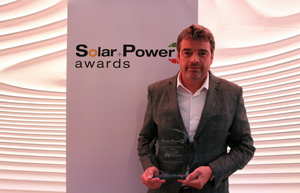 In December 2016, MEP placed Europe´s first Climate-Bond-certified green loan backed by small ticket solar lease contracts of the MEP solar lease business model- an important milestone for the industry and example for future investors and issuers of green long-term financing products. 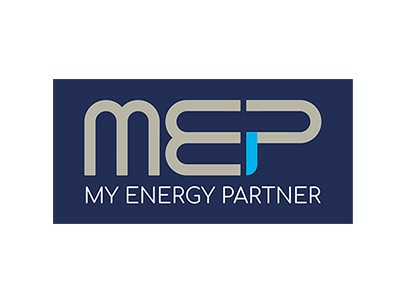 MEP™ complex financing structure allows institutional investors to invest on a long-term basis in the MEP solar lease business model and the private energy transition. 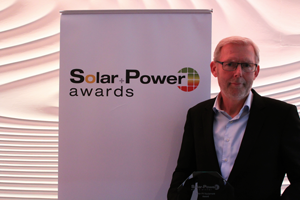 Judges Comment: MEP Werke is commended MEP Werke is commended for its development and successful operation of the first solar lease business model (Germany) that provided home owners a simplified ‘turn-key’ program to participate in the green power revolution. Summary: Q.ANTUM is the proprietary solar cell technology platform of Hanwha Q CELLS and the engine behind its complete portfolio of solar modules. While being based on the rear side passivation of the solar cell (PERC), Q.ANTUM offers many additional features that differentiate it from conventional PERC technologies. Q.ANTUM Technology's strength lies in controlling various degradation effects such as PID (potential induced degradation), LID (light induced degradation) and LeTID (light and elevated temperature induced degradation). 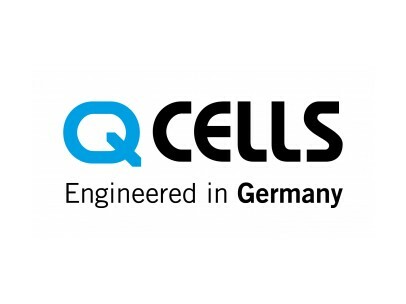 Judges Comment: Hanwha QCELLS is commended for its Q.ANTUM technology that enhances conventional PERC cell performance through nano coatings while also controlling degradation effects (PID, LID, and LeTID) for increased efficiency and quality. 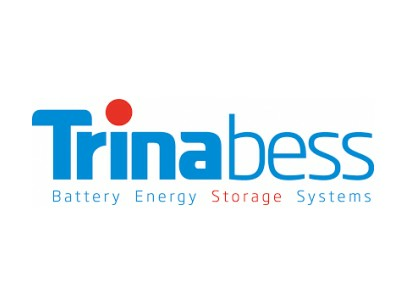 Summary: TrinaBESS is the energy storage division of the Trina Group alongside Trina Solar, the global provider of PV total solutions. TrinaBESS technology is unique in its flexibility for end users, with power and capacity scalability. Large scale customized solutions for the various market requirements are also available. Our products combine affordability and strong reliability through its long lifespan, safety and excellent performance. From 3 kWh to multi-MWh, TrinaBESS has the solution to fit. Judges Comment: Utility and commercial power companies can benefit from the TrinaBESS / TrinaMega energy storage platform that provides a plug-and-play containerized solution featuring one of the utility market’s best battery densities: 2.9 MWh for each containerized BESS. Summary: MyReserve Matrix sets new standards for the battery storage market: the system is completely modular. The battery module and intelligence unit are each housed in solid, highly secure aluminum blocks, which means that no additional cladding is required. Each individual module is the size of a shoebox and weighs less than 25 kg. By combining these two basic components, any storage capacity from 2 kWh to 2 MWh can be configured. 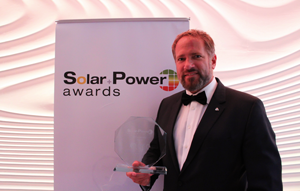 The SOLARWATT battery is as equally suited for private household use as commercial storage. MyReserve Matrix is also flexible in terms of performance: each connected battery module increases performance by 800 watts. The new battery storage system is suitable for all conceivable applications and can be perfectly adapted to each individual customer’s needs. 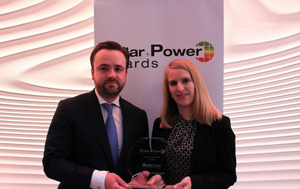 Judges Comment: SOLARWATT GmbH and its MyReserve Matrix Battery is a leading example of a simplified power storage solution that is adaptable, flexible and study, supporting residential and commercial needs from 2 kWh to 2 MWh.